We’re in a perpetual search for vacations we can take in the timespan of an extended weekend. (Hands up if you’re like us and try to stretch those vacation days as far as possible.) Marrakech may be just the place you should request some time off for. To get the most out of your time there, we created an itinerary with the perfect balance of sightseeing and leisure. Because you’re on vacation, after all. Should we start with the 53 private luxury riads (for the uninitiated, it's a house), each with its own intricate colored tilework and woodwork spanned across three floors and a rooftop plunge pool with the Atlas mountains serving as a backdrop? Or the endless gardens that lead to the huge cabana-lined pool? How about the high odds that you’ll be sipping your iced Moroccan tea next to a famous face or even royalty (ahem, Prince Harry and Meghan Markle)? [Additional fun fact: The Prince of Morocco stayed here when we did.] Fight off the jet lag with a chill day of lunch at Le Jardin and some quality time with an Aperol spritz at the pool. It doesn’t get fancier than this. Dial up your butler service (hard to type without sounding pretentious), order some tagine eggs and freshly squeezed juice, and bask in the morning sun on your rooftop. Easily one of Marrakech’s most visited spots, you’ll want to snag a ticket and get here early to beat the fashion-loving crowds. 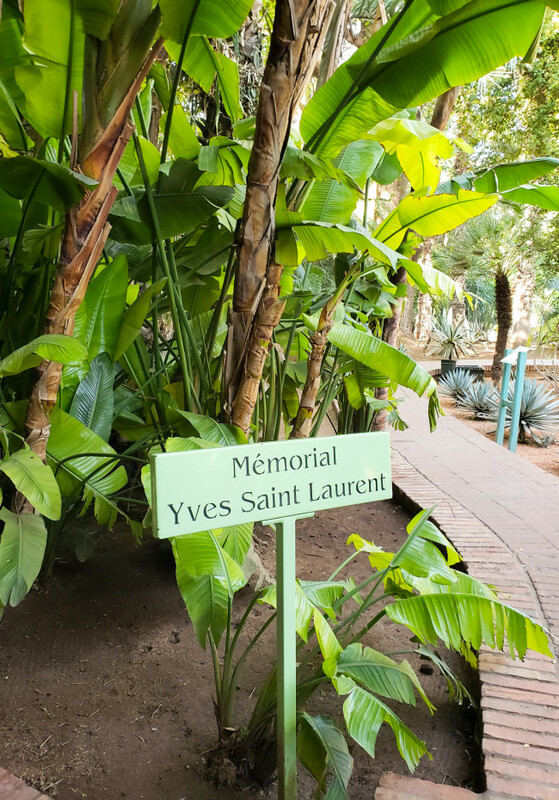 Snag a pic in front of the blush-pink “YSL” and ogle at Yves Saint Laurent’s greatest works—from ’60s evening suits to pieces from Catherine Deneuve’s personal collection, jewelry, and illustrations by the designer himself. 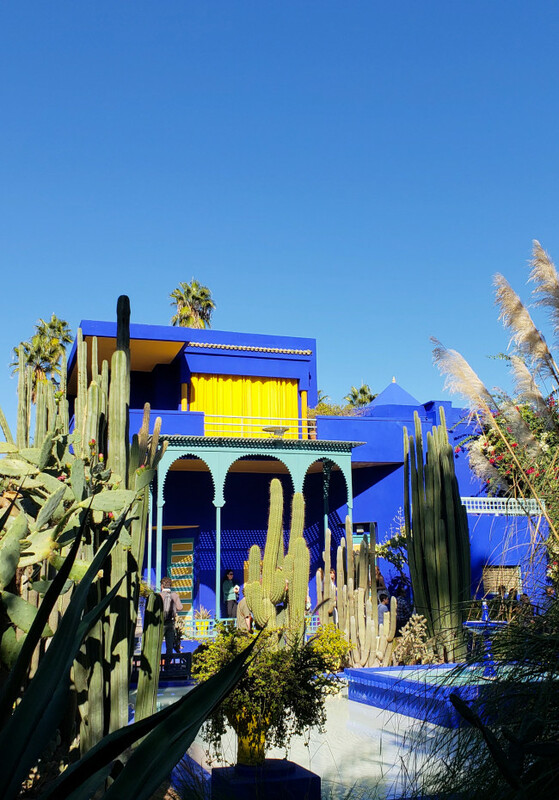 Right next door sits the famous bright blue house surrounded by cacti and tourists. You’ll have to put your meditation practice to good use and wait patiently for just the right time, when the hoards of people hide behind the huge palms and succulents for the perfect Instagram shot. If you do find a corner of solace, you realize this place is quite magical. Grab a rickshaw or taxi back to Kasbah and head to the rooftop of La Sultana for a sun-soaked lunch in the heart of the medina. The menu at La Table de Souk is packed with local ingredients like saffron from Taliouine, salt from Zerra Doune, and cumin from Alnif; the grilled fish, veggie couscous, and cactus mojito are must-haves. This cannot be missed! The spa at the Royal Mansour is one of the best in the city. The hammam, a traditional scrub and bath in a warm-stone room, is one of the best experiences you’ll have on this trip. Hold us to it. You’ve reached peak zen, so don’t worry about venturing out this evening. Let your baby-soft skin glow under candlelight at the fine-dining Le Grande Table Marocaine, just steps from your riad. Elevated Moroccon dishes so good you’ll still be thinking about them from your desk back home. Located just outside the medina, the 20s-era establishment was refurbished in 2005 into a charming, nostalgic French brasserie. 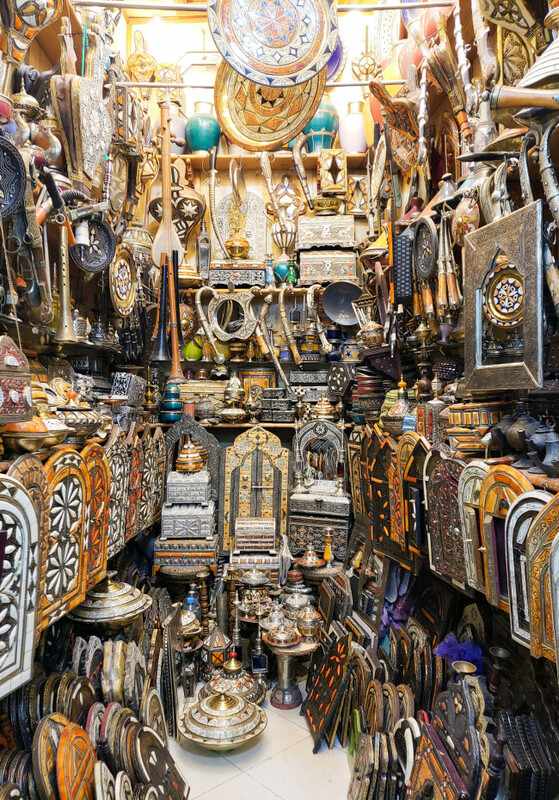 Just steps from the Royal Mansour, the Jemaa El Fna souk is a maze of artisanal shops. This is where you’ll want to stock up on your textiles like rugs, pillow cases, and poufs, friends, but make sure to do your research before handing over your credit card. 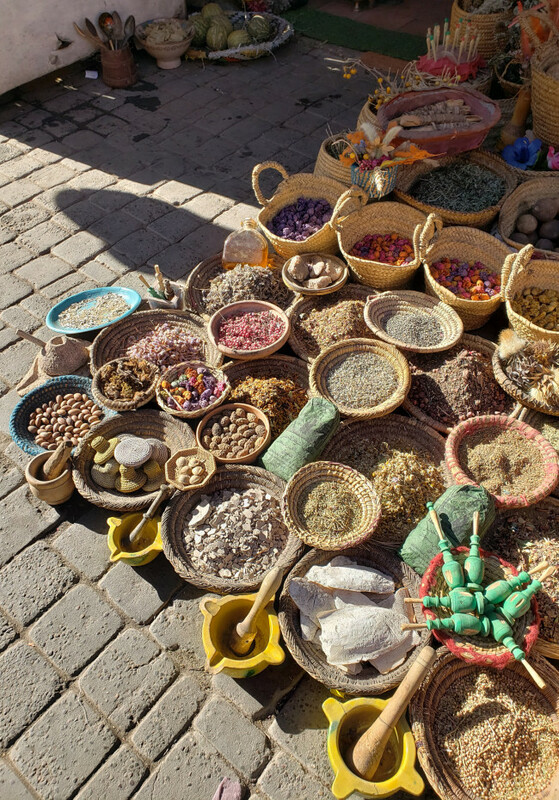 Getting a guide like Mustapha Chouquir, the self-titled “GPS of Marrakech,” is your secret weapon— he’s even guided Madonna!—when navigating this vibrant labyrinth and hitting up the best shops. 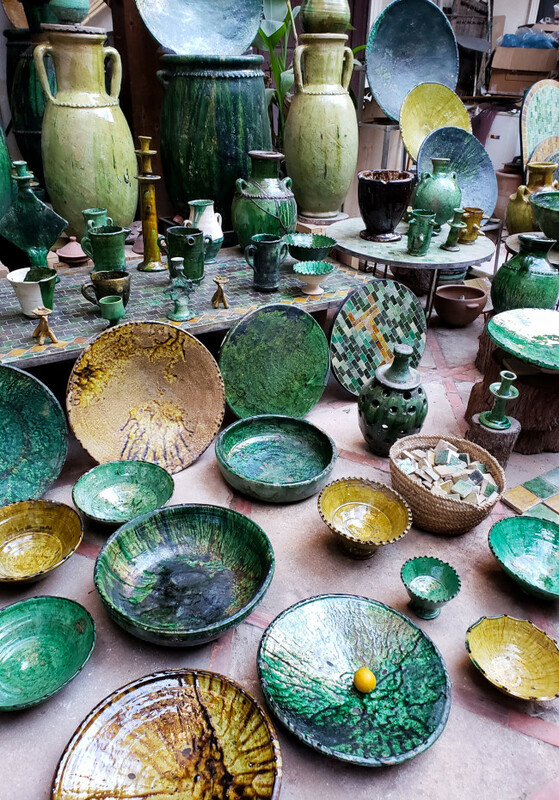 Other goodies to consider are black soap, a staple at the hammam, green pottery by the talented Berbers, jewelry, and leather sandals. You’ll need a few solid hours to soak up the history and get some retail therapy. The best part of Marrakech is roaming through the streets and people-watching. In the square, join in on the Coke-bottle fishing game (you’ll know it when you see it) and get lost. You’ll never know what you might discover. Whether you’re traveling with an SO or not, La Maison Arabe is a romantic must-visit. It was an old stomping ground for Hollywood A-listers, and the menu and live music prove why. One of the greatest parts about the Royal Mansour is that they offer exclusive experiences no one else has access to by way of Insider Experience. The best part? You’ll be zipping across the Moroccan city in a sidecar. 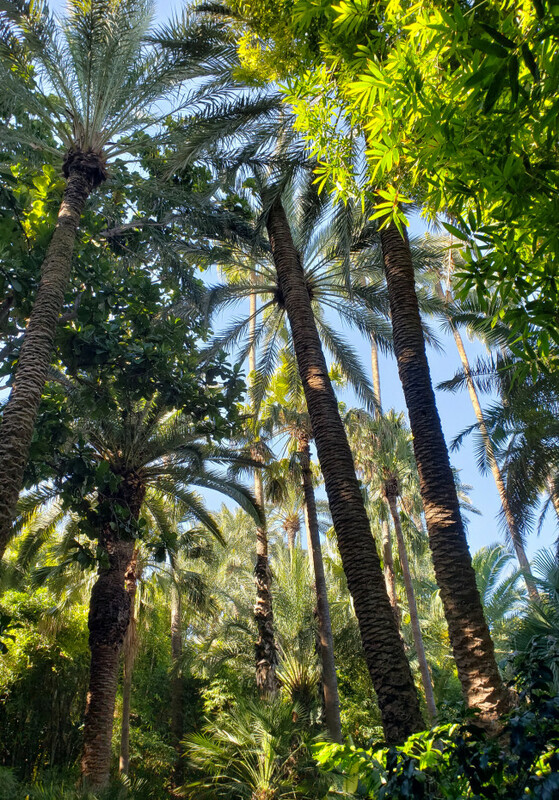 Start your tour visiting Dar El Sadaka in Palmeraie, Marrakech’s palm forest. It needs to be seen to be believed. A lunch of giant ravioli, giant glasses of wine out of a giant wine bottle, outside the Giant’s House is a one-in-a-lifetime experience. Not open to the public and with no photos allowed inside (sorry, guys! ), this masterpiece by the French perfumier is truly special. A collection of riads that were re-imagined by Lutens into a maze of moody alcoves featuring the most magnificent Moroccan craftsmanship (woodwork, inlay, tiling, you name it) you’ll ever see. Squeeze in some final minutes of R&R and sunshine poolside before your flight home.